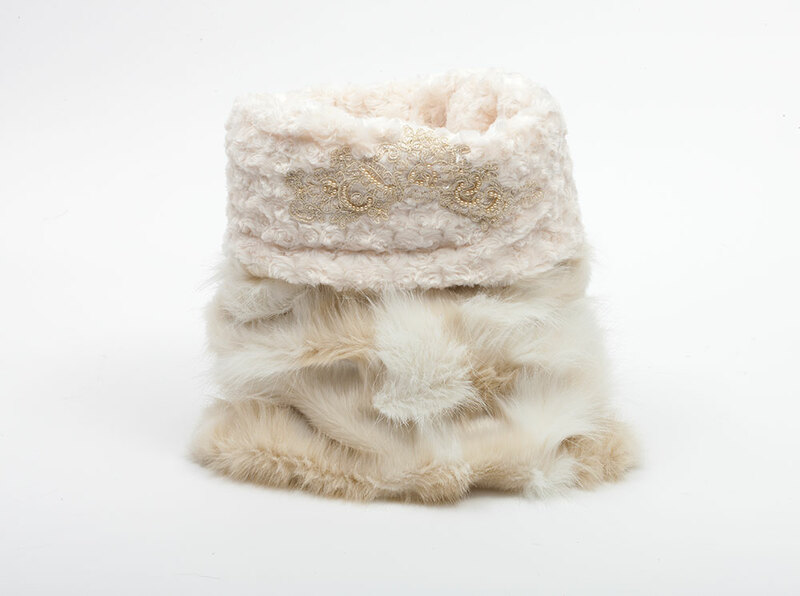 When only the best will do…Our Champagne Lux Cuddle Cups are the ultimate in luxury to spoil your pamper pup. The champagne and white faux fur compliments an ultra soft ivory reverse with champagne embroidered embellishments beautifully. 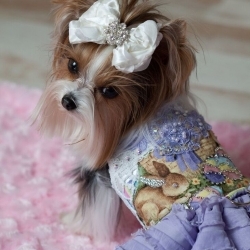 An optional chiffon bow with rhinestone center is a perfect addition to this luxurious cuddle cup. Fur clean only, No heat. Size is 25″x17″.